Xbox-Hq.Com :: View topic - HELP ME PLEASE WITH MY CASE MOD!!! Post subject: HELP ME PLEASE WITH MY CASE MOD!!! what non online store could i buy a 80 mm fac with cold cathode lights so i can use it for my jewel. id just rather just go to a store and buy one. id also like to know if if where possoble to put 2 cold cathodes in my original xbox. what i want to do is hook up a circular one for my jewel and a straight line one for underneath the controller ports on the faceplate of the xbox. i ask this because they both use the molex jiggy to get power. i am willing to sodder wires together if i need to but i dont know where to start. id also would like to know if i could add one of those sound sensitive thing so the light dance to music. 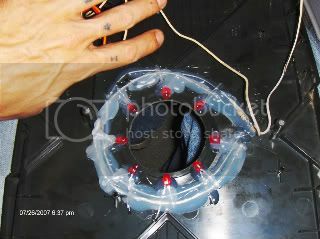 ps-especially posts on how to put 2 cold cathodes in one xbox lol. thanks. I just tap in to the HDD power.